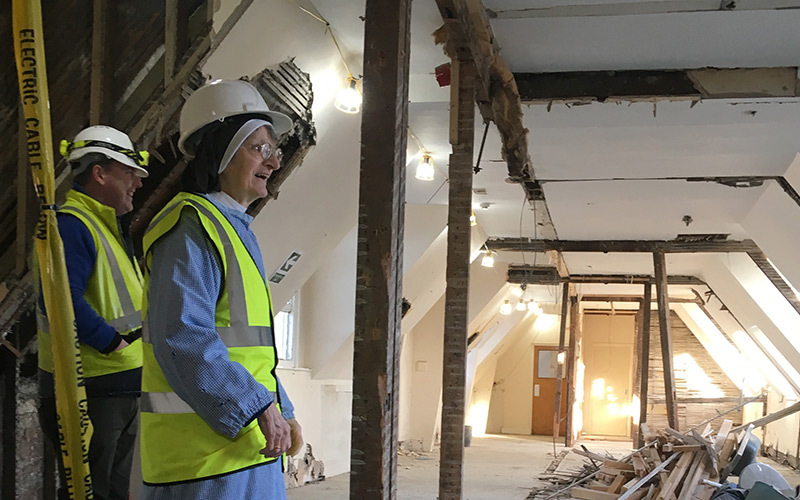 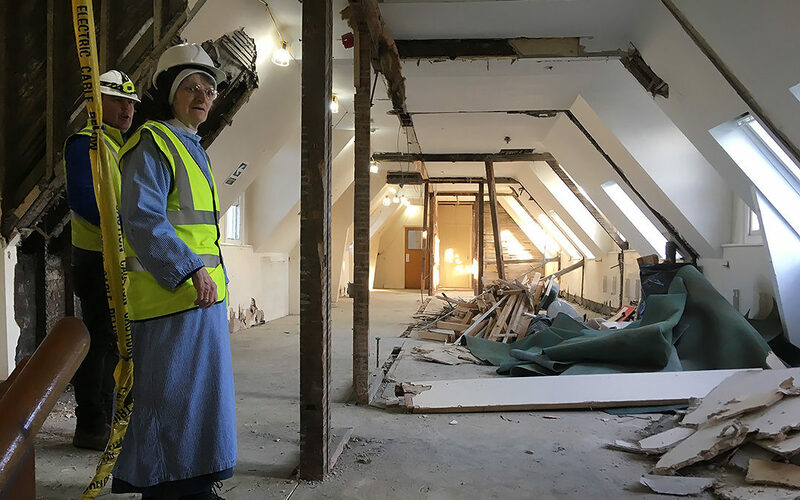 Building work on renovating the North Wing of St Mary’s Convent and the development of a new Welcome/Reception area is underway. 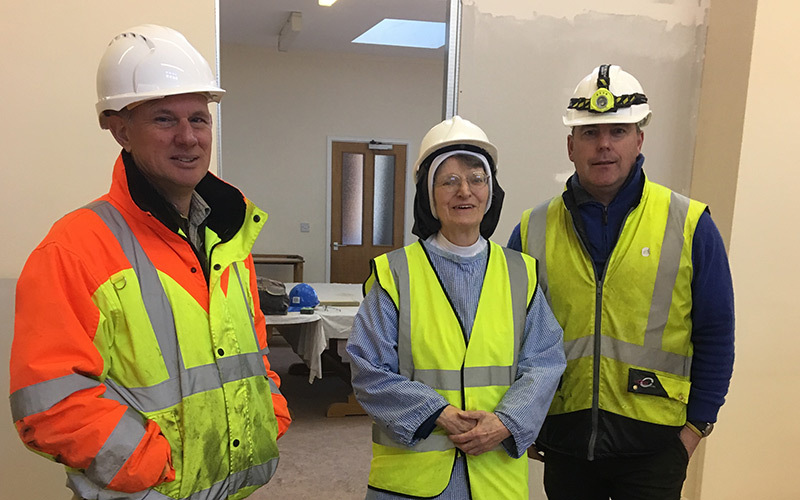 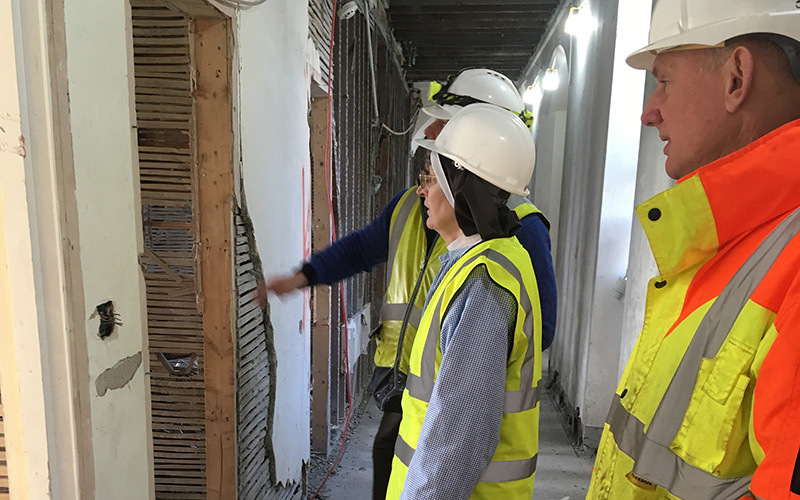 Sister Stella and Estates Manager Simon Bunyard have been given a first glimpse of the work by Joe Cunningham from Hugh J O’Boyle, the Building Contractors. 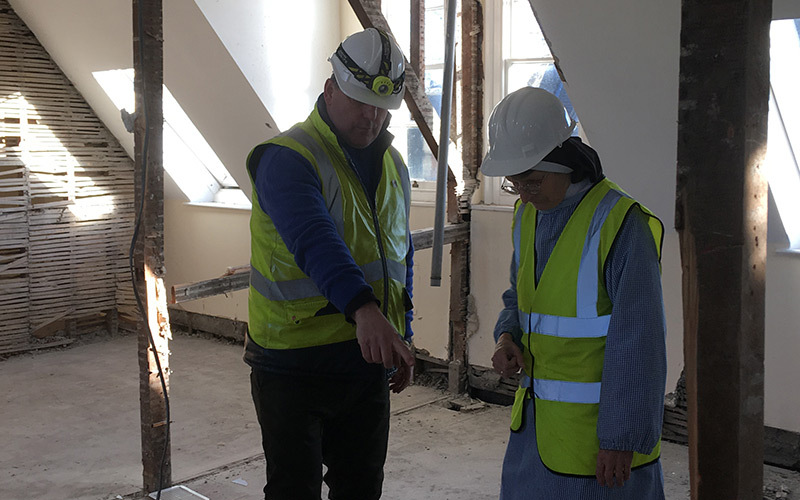 Work on this phase of the Convent is due for completion in the Summer of 2019.